2 Bedroom Detached Bungalow For Sale in Lincoln for Asking Price £95,000. Situated on the beautiful and tranquil Tattershall Lakes Country park, this two bedroom Holiday lodge is immaculately presented and ready to be enjoyed!! Having an open plan lounge/kitchen/dining area this property also benefits from having an en-suite to the master bedroom and an additional sun room. 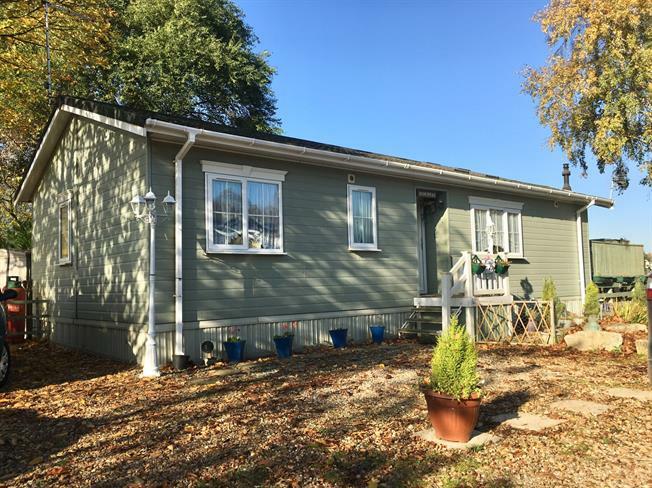 Externally the property has off road parking, a large garden with decking which provides beautiful views all year round of the fishing lake. Tattershall Lakes itself offers fantastic facilities including jet skiing, water skiing, wave-boarding, a golf course, fishing lakes, pool, play area and a bar and restaurant. Double glazed uPVC window. Granite effect work surface, wall and base units, stainless steel sink, integrated oven, integrated hob, overhead extractor, space for dishwasher, space for washing machine. Double glazed uPVC window with frosted glass. Radiator, ceiling light. Low level WC, double enclosure shower, pedestal sink, extractor fan and shaving point. Double glazed uPVC window. Radiator, ceiling light. Low level WC, roll top bath with mixer tap and shower over bath, pedestal sink and extractor fan. Double glazed uPVC window overlooking the lake. Radiator, ceiling light.